Bell's Wholesale Grocery, located in Mount Morris, Pennsylvania has been in business since 1948 servicing WV, PA, Md. and OH. If you are interested in applying for a position for the warehouse or as a driver, print and complete the attached employment application. Once completed, deliver it or mail it to Bell's Wholesale Grocery, Inc., 211 Meadow Ridge Drive, Mt. Morris, Pa. 15349. 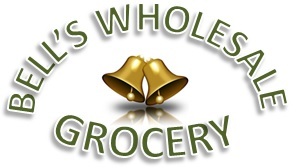 Bell's Wholesale Grocery, located in Mount Morris, Pennsylvania has been in business since 1948 servicing WV, PA, Md. and OH. If you are interested in applying for a position for the warehouse or as a driver, print and complete the attached employment application. Once completed, deliver it or mail it to Bell's Wholesale Grocery, Inc., 211 Meadow Ridge Drive, Mt. Morris, Pa. 15349. Bell's Wholesale is an equal opportunity employer.